Doors open at 7:00 pm/Show 8:00 pm. Gen. Admin $15.00. 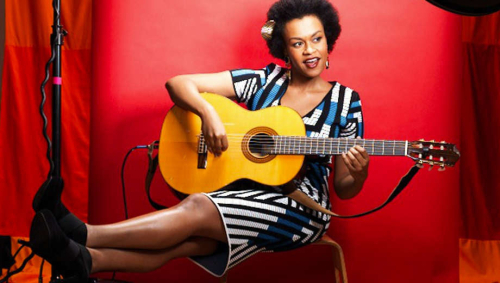 MEKLIT is an Ethio-American vocalist, composer, and cultural instigator bringing together Ethio-Jazz with a singer-songwriter's storytelling and strum. Her album When the People Move, The Music Moves Too came out last June to rave reviews. Produced by multi-GRAMMY winner Dan Wilson (Adele, John Legend), it was named amongst the Best Soul Albums of 2017 by Bandcamp and amongst the 100 Best Albums of 2017 by the Sunday Times UK. Known for her electric stage presence, New York Music Daily named Meklit's April 2017 Lincoln Center show one of the Best NYC Concerts of 2017.